Quartz is a durable element and can withstand higher temperatures than glass and ceramics and so it is a popular choice for heater elements. Infrared space heaters use electromagnetic radiation to heat objects, materials and spaces. Using energy produced from the heating element and reflective surface, infrared waves are radiated in the direction of desired heat while losing minimal energy to conduction or convection. In a quartz heater, the element is either made of quartz, or commonly of tungsten wire or a thin coil of another alloy and enclosed in a quartz glass tube. As electrical energy is applied to the element, the heat created gives off infrared waves and energy which are reflected from the polished surface of the reflector. While forced air heaters use convection to heat the air, infrared heat is absorbed directly by an object’s surface without the need for a transport medium. Infrared heat can penetrate materials and gases more easily than heat from other types of heaters and more efficiently than UV lamps which require light waves to effectively heat an object. Due to its high energy efficiency, quartz infrared heating is considered an environmentally friendly alternative to other heating methods which use fuels or gases to create large amounts of heat. Common uses of quartz heaters include: space and room heaters, food and chemical processing, medical uses such as easing arthritic pain, industrial uses such as coatings drying, glass processing or curing, heating for veterinary and zoo uses such as incubation etc. As varying materials react to and absorb infrared heat in different ways, this needs to be taken into consideration when determining the appropriate heater usage and location. 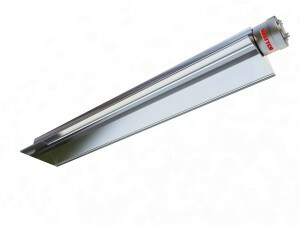 There are a number of advantages to using quartz heaters, including the heating patterns which tend to be more uniform due to the nature of infrared heating. In convectional heating, pockets of cool and hot air are sometimes found which can prove costly in processes for industrial or commercial purposes. Another advantage is that quartz infrared heaters pose less health risks than other types of heaters, for example radiant gas heaters, as there is not a flame or harmful emissions from burning fuels involved in the heating process. The quartz element or tube does reach high temperatures, but most heaters are manufactured with a protective shield or guard to prevent direct contact with the element. The reduced risk of fire and burning is a great advantage, especially in residential use as space heaters are a cause of many household fires each year in the US. 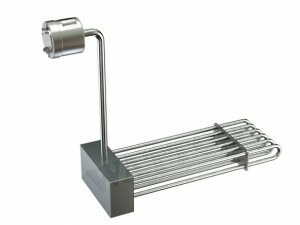 Quartz Heaters Quartz heaters are common types of infrared heaters which use heating elements composed of the mineral quartz.